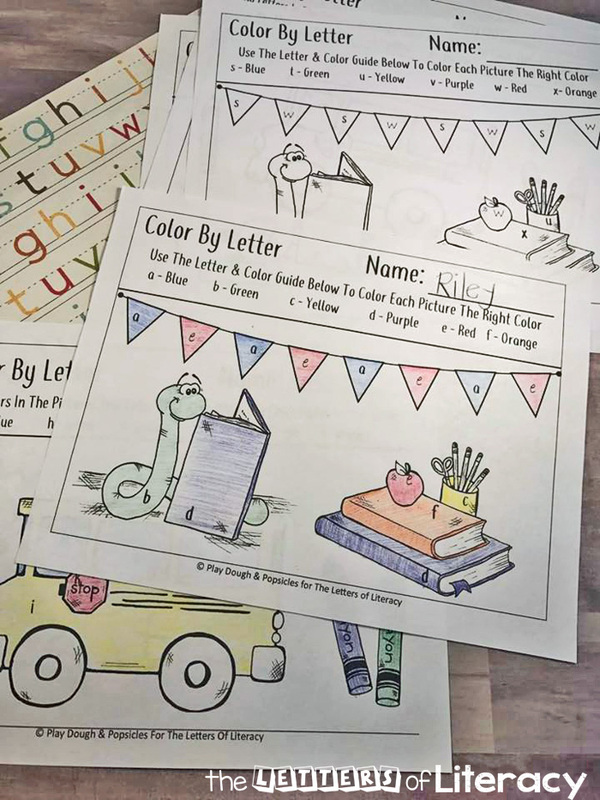 Try this Free Back To School Themed Color By Letter printable activity. 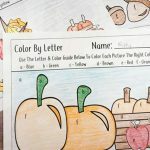 Any child who loves to color, even just a little bit, will enjoy this fun color by letter! Letter recognition can be a difficult concept for some kids, especially Kindergartners. 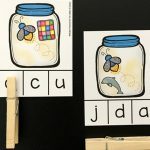 It is important to give them a variety of activities that spark their interest but also help them learn and recognize each letter of the alphabet. 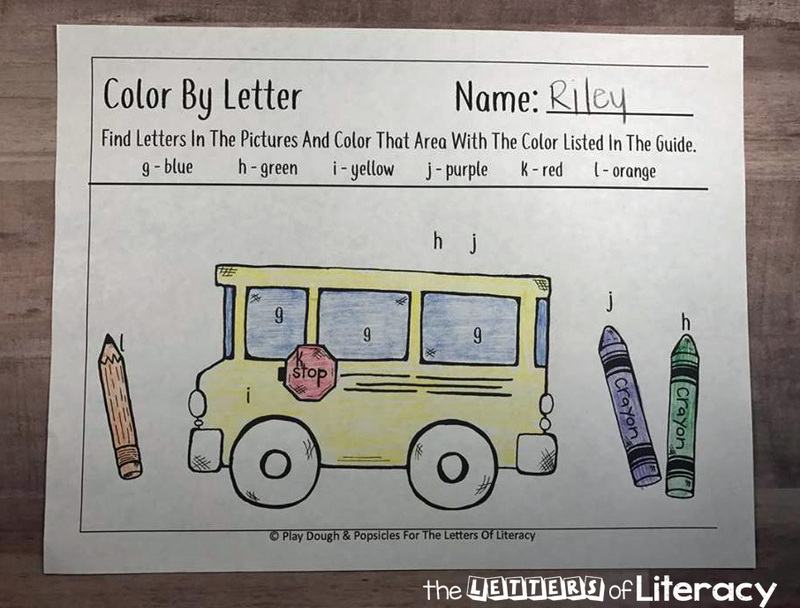 Even if your kindergartner can recognize some letters and not others, it’s helpful to do fun activities to encourage them to learn the rest. Back to school is right around the corner. If you’re like me, your little baby has grown up into a 5-ish year old and it’s almost as if you’ve been blindsided. Questions I’ve been asking myself lately include: Where have the last five years gone? When did my little baby girl grow up to be a Kindergartner? Sound familiar? Now we’re buying a backpack and lunch box, school supplies and picking out her first day of school outfit. So following our current obsession of back to school, I decided to create a letter recognition activity with that theme. It draws on her current interest and helps prepare her for activities she will do in Kindergarten. 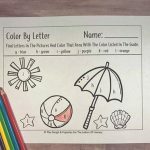 To start this activity you will need coloring utensils and the free printable pack that can be downloaded at the end of this post. Print the packet. There are two different sets of pictures. I wanted the pictures to be busy enough that kids will have enough to color and in a variety of colors but also not busy enough that kids would get confused or overwhelmed. One page includes a school bus and crayons while the other is books and a book worm. Each page has 6 different colors: blue, green, yellow, purple, red and orange. Each color is assigned to 6 different letters. Different parts of the picture have the assigned letters to inside them. Children can find the letters among the various parts and objects of the picture and know which colors to color that area. 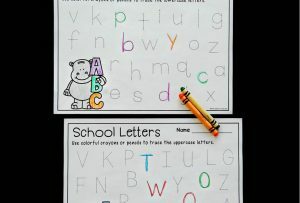 One tip – For children who can not read the colors, you can help by coloring each color name with its appropriate color. This can be done individually or as a class. 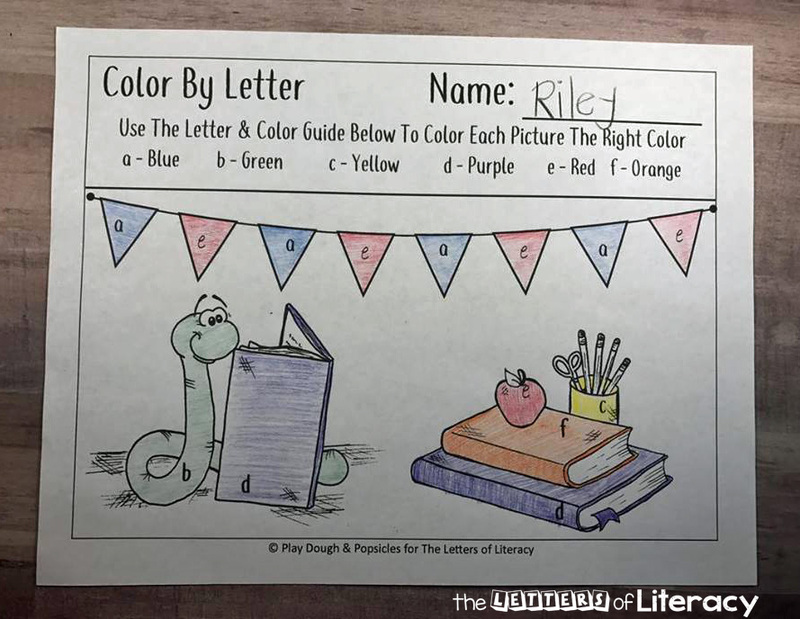 This will help children know which color to use for each part of the picture. You may see that some of the letters are repeated on the last page of the printable pack, such as b, p, d, and q. 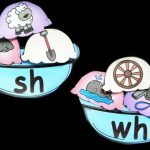 The reason for this is because these letters are often difficult for kids to recognize correctly because they are so similar to each other. 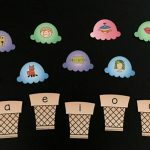 These printable activities are meant to help children practice letter recognition. 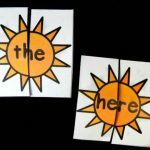 It is a simple yet fun way to encourage children to learn each letter from another. This activity does more than just help with letter recognition, though. 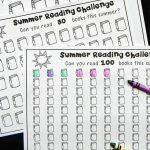 This activity will help children practice following directions, strengthen hand muscles, practice coloring in the lines, and get kids excited for back to school. 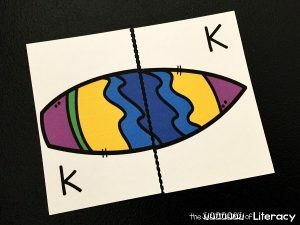 Ready to practice your letters? 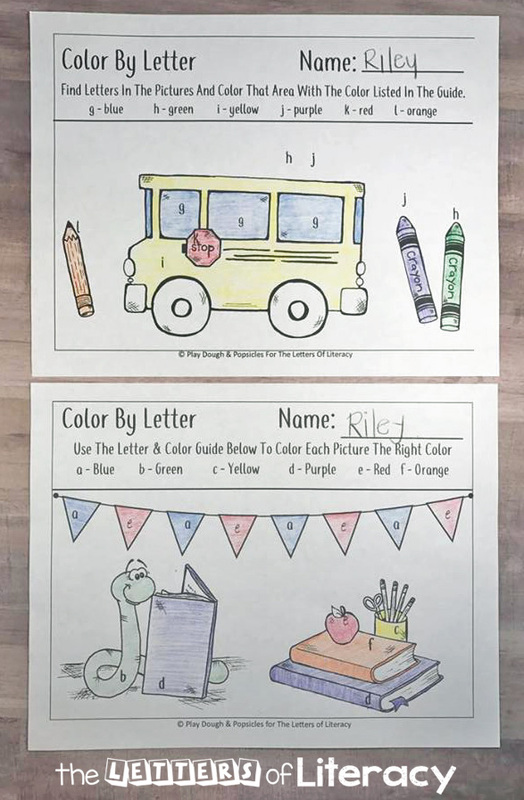 Grab your copy of the Back to School Color by Letter Printables by clicking the blue button below! 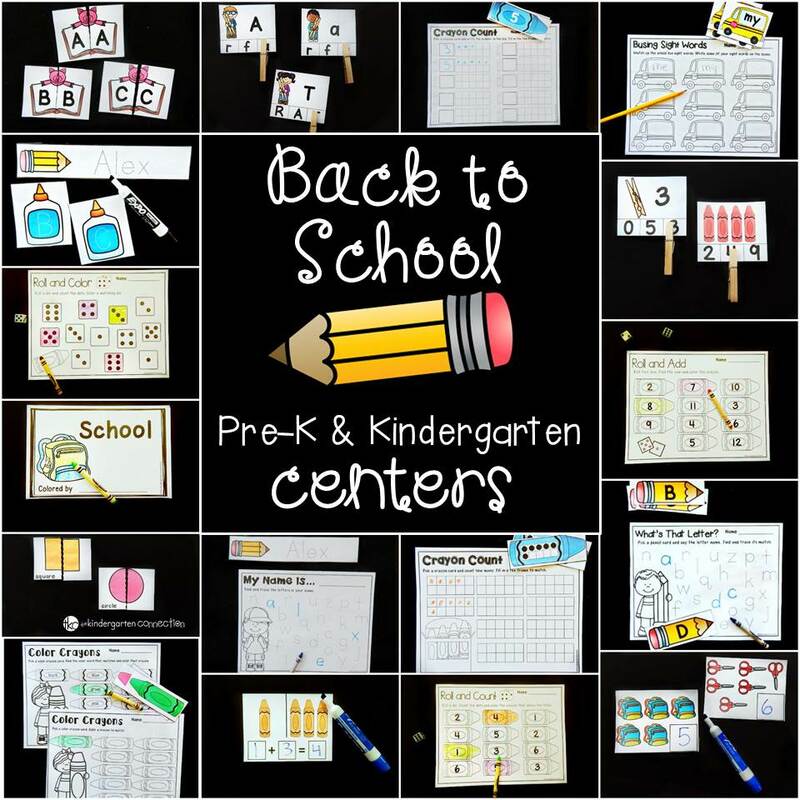 Then, for TONS of printable Back to School fun, hop over and grab our Back to School Math and Literacy Centers! Thank you for the great resource, exactly what I needed!! !